Never stop improving. The No. 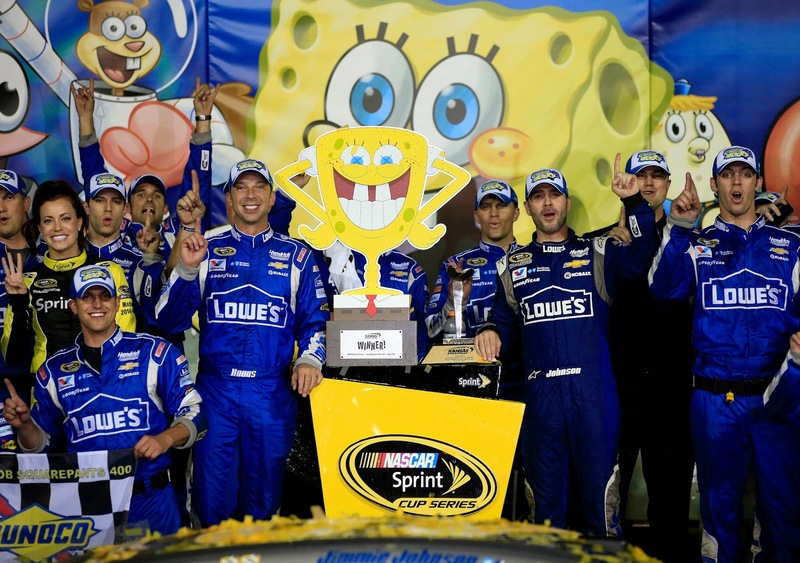 48 team did exactly what their primary sponsor expected of them in the Spongebob Squarepants 400 at Kansas Speedway. After yet another dismal qualifying effort, Jimmie Johnson needed all the help he could get from his team to work on the car throughout the race. Ending on Mother's Day because of a two-hour rain delay, the race win was the 73rd for Johnson and Company. Speaking of stats, the finish was also the team's third win in 2015, their third win at Kansas, their 200th top five in the Sprint Cup Series, their 300th top 10 and their 23rd win at 1.5-mile tracks, which is a Sprint Cup record. In fact, the team hasn't finished outside the top three since March. 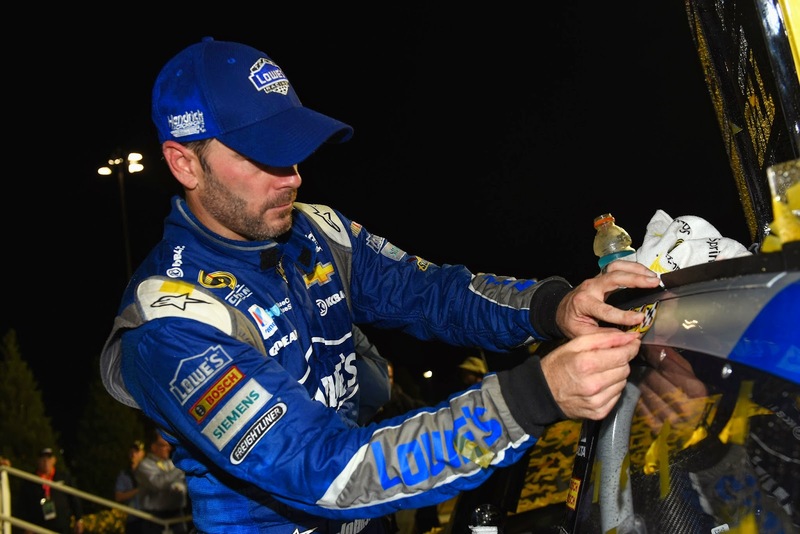 Among Johnson's reasons for those numbers is "the attention to detail that Chad puts into his race cars, the resources we have at Hendrick Motorsports and the cars we show up at the racetrack with." So how did Chad Knaus feel about the come-from-behind victory? "It was very unexpected to be here right now, obviously I think we had a little bit of good fortune on our side for sure. The weekend wasn't turning out or developing the way that we would have liked it to for sure, but the good thing about this team is it always strives to do better, and we worked really hard on the race car after qualifying to figure out what we needed to do to try to get the car better for Jimmie. We had some really tight conditions on Friday, and well, we did a really good job of fixing that. "Unfortunately, we couldn't really get the car back where we needed to, and obviously Jimmie almost lost it there early on in the event and did a fantastic job saving the race car, and then the guys, man, we just got to work. The guys just executed flawlessly on pit road," Knaus said. "We made a significant amount of changes to the race car from ride height changes to chassis changes to air pressure changes to pit calls and strategy and so on and so forth. To be able to come out of here tonight with a victory was a lot of fun. A lot of hard work, but a lot of great people put us here tonight." Those great people who put Johnson and Knaus in Victory Circle worked hard all weekend to make the Lowe's Chevrolet better than it was when they unloaded it from the hauler. Good calls from Knaus also played a significant role, especially as the laps wound down and final pit stops were made. "From our standpoint, we were in a unique situation because the 4 and the 78 were actually really close on fuel; we were not. We were well within our window. So we wanted to stay out. "We knew that we were going to need to have probably four or five guys at the minimum stay out for us to have any shot at pulling it off. We were tossing back and forth what we should do, and I didn't want to say too much until the very last moment, and when I threw it out there to Jimmie and he said, well, let's gamble. I was like, that's easy, it's done. So when we did that I felt very confident the 88 was going to stay out, I felt very confident the 24 was going to stay out. I didn't know about the other guys. And I felt like even if those other guys came down, like 78, for instance, he took fuel. And I really expected the 4 to take fuel as opposed to taking right side tires. Once he took right side tires, I knew that he was going to be difficult. I knew that he was going to be the one to beat. "The 4 car was the wild card. Man, he made quick work of the 24 through 1 and 2. I don't know where Jeff went, but the 4 just rolled right through there. And I thought we were going to be in trouble, but man, we were watching the in-car camera video a lot of the race and Jimmie had his hands full the majority of the race in traffic and counter steering the majority of the event through the corners. "Once the car got out front, he was actually able to really feed the wheel to the car, held a pretty wheel and the car definitely came to us once we got out in clean air." Knaus is quick to give credit to the other drivers on the track who keep them striving to get better every week. "We're working diligently... to try to figure out how we can get a little bit more speed out of the 48 car," he said. "You know, I wouldn't say it's always the 4, but we aren't used to not being as fast as we need to be, and we're about a couple tenths off every week from where we want to be. "Now, that could be to the 4, it could be to the 22 ... it could be to the 19, whoever it is. 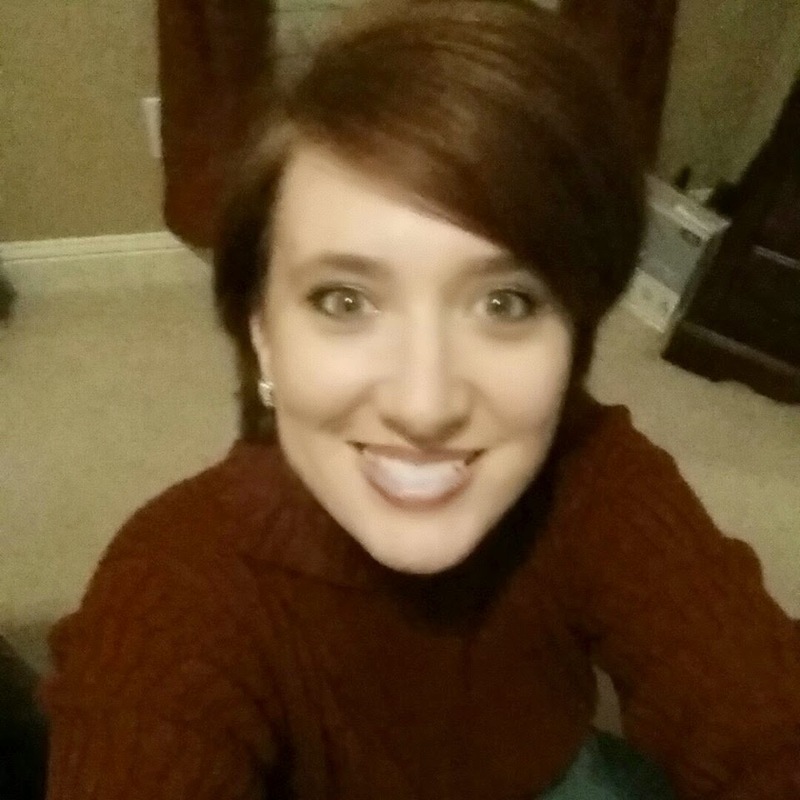 So we just got to try to broach that and once we get there we're going to be where we need to be." Never stop improving. Sounds like their sponsor has the right idea. It certainly seems to be working for the No. 48 team.